The use of social media has become a ubiquitous component of the ever more interconnected world in which we now live. The use of social media platforms such as Twitter, Facebook and LinkedIn can provide organisations with new and innovative ways in which to engage with their staff. However this highly dynamic and end-user focused environment also brings with it a number of security concerns. The data held within social media can provide an attacker with a wealth of information about the internal workings of an organisation, including detail on roles and responsibilities, projects, relationships and expose information about internal IT systems, including the ability to identify security vulnerabilities. Social computing is not a fad. Nor is it something that will pass us by. Gradually, it will impact almost every role, at every kind of organisation, in all parts of the world. The term “social media” refers to internet-based applications that enable people to communicate and share resources and information. Social media can be accessed by computer, smart and cellular phones, and mobile phone text messaging (SMS). To give an idea of the numbers, there are more than 110 million blogs being tracked by Technorati, a specialist blog search engine; an estimated 100 million videos a day being watched on video-sharing website, YouTube and more than 130 million users on the social network Facebook. 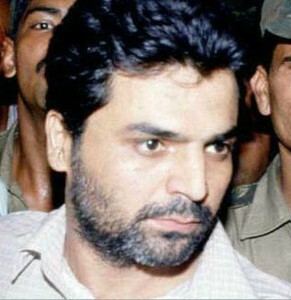 Yakub Abdul Razak Memon was executed by hanging on 30 July 2015 at 0630 IST in Nagpur jail. About 257 people were killed and over 700 injured in a series of explosions that rocked Mumbai on March 12, 1993. He was a terrorist by choice and chartered accountant by profession. Yakub was convicted over his involvement in the 1993 Bombay bombings by Special Terrorist and Disruptive Activities court on 27 July 2007. He along with his brother, of one of the prime suspects in the bombings, Tiger Memon planned and executed the horrific mayhem. The manner in which 24 x 7 television coverage, accorded to a man who waged war against the nation, portraying him as a victim, leaves a person like me hurt. I for one expected these opinion makers to glorify the death of Abdul Kalam instead. Dawood was assisted in this act by Tiger Memon, one of his most trusted associates who is also believed to be hiding somewhere in Pakistan. The bombings were financed by expatriate Indian smugglers based out of the UAE. “Conclusive evidence” had linked the three gunmen who attacked a police station in Gurdaspur on Monday to Pakistan, the Central government claimed on Thursday. Union Home Minister Rajnath Singh told the Rajya Sabha that an analysis of data recovered from the militants’ GPS units showed that they had infiltrated India through the Punjab border with Pakistan. However, Islamabad said that the charges were “baseless” and described Singh’s statement as a “threat to peace and security in the region”. Union Finance Minister Arun Jaitley said that the External Affairs Ministry would take a call on whether to cancel the upcoming high-level talks with Pakistan. At least seven people were killed and 15 injured during the 12-hour-long gun battle between the assailants and security forces in Gurdaspur on Monday. Are India and Pakistan Sliding toward War? "Increasing violence along the Line of Control and near the India-Pakistan border is a clear and concerning marker of the deterioration of India-Pakistan relations on a broader scale..."
The ceasefire agreement reached between India and Pakistan in November 2003 is now unrecognizable, with firing growing steadily since late 2012. Monday’s attack on a police station in the Punjabi town of Gurdaspur, signals a new uptick in violence. The Pakistani press has blamed Kashmiri extremists for the attack, but this could well be the work of a group like the Lashkar e-Taiba. Diplomatic overtures between Prime Ministers Narendra Modi and Nawaz Sharif have been high on visuals, low on substance, and limited to multilateral settings. Conditions are ripe for a crisis in this strained environment, even more so if a terrorist attack on Indian soil—such as Monday’s—is traced back to extremist groups supported by Pakistan's Inter-Services Intelligence (ISI). These rising tensions make crisis management more difficult and increase the risk of a conflict with nuclear dimensions. KABUL — One of the most wanted men in the world for over a decade, Mullah Omar was also one of the most elusive. There are no clear photographs in existence of the tall, one-eyed leader of Afghanistan’s Taliban insurgents, and only a handful of foreigners have seen him. Even when his hardline Islamist followers ruled Afghanistan, little was known about him. The Afghan government said on Wednesday it had enough “credible information” to confirm that Omar had died in April, 2013, in neighboring Pakistan. It did not offer any further evidence. The Taliban could not immediately be reached for comment. Omar and his Taliban government were overthrown in late 2001, largely thanks to aerial bombardment by U.S. forces after he refused to hand over al Qaeda leader Osama bin Laden in the wake of the Sept. 11, 2001 attacks. Followers said he subsequently coordinated Taliban resistance to the government in Kabul and NATO-led troops in Afghanistan. But rumors of his demise have been circulating among militants and regional intelligence circles in recent years, and even if he was still alive during that time, his direct operational involvement in the Taliban appeared limited. KABUL, Afghanistan — The Afghan government said on Wednesday that it was investigating new reports that Mullah Muhammad Omar, the elusive leader of theTaliban, is dead. The reports are the latest in a chorus of unsourced or anonymous claims. The BBC had earlier on Wednesday quoted unnamed government officials confirming Mullah Omar’s death, and the Afghan president’s office convened a news conference at which Sayed Zafar Hashemi, a spokesman for President Ashraf Ghani, said he had ordered an inquiry into the claims. In recent days, breakaway insurgents have said that Mullah Omar, who has not been seen in public since before the fall of the Taliban regime in 2001, died, and that it is well known among the Taliban that he was buried in Zabul Province. Mullah Muhammad Omar, the leader of the fundamentalist Afghan Taliban movement, proved to be as enigmatic in death as he had been in life. When the Afghan government announced on Wednesday that he had died more than two years ago in a Pakistani hospital, he had not been seen in public since 2001, not long after the attacks of Sept. 11, carried out by a terrorist group to which he had given safe harbor. A recluse whose lack of education led many to underestimate him, Mullah Omar cultivated the aura of a mystic and religious leader. He solidified his leadership of the Taliban in an elaborate ceremony at Kandahar’s holiest shrine in 1996. In full view of his supporters, he donned a venerated relic, the cloak of the Prophet Muhammad, as they proclaimed him Amir ul-Momineen, Leader of the Faithful, one of the highest religious titles in Islam. There was nothing elusive about his command of the movement’s thousands of followers and fractious commanders. Through five turbulent years of Taliban rulein Afghanistan and more than a decade of guerrilla insurgency against NATO-led forces, Mullah Omar maintained his grip by means of cunning ruthlessness and the single-mindedness of a man who saw himself on a God-sent mission. Sidney Rittenberg knows a thing or two about China. During World War II, he learned fluent Mandarin as a U.S. Army linguist, worked in China, left the Army and joined the Chinese Communist Party. He became friends with Mao Zedong and spent 16 years in solitary confinement — as Mao’s prisoner. On July 9, Gen. Joseph Dunford, the officer next in line to become the chairman of the Joint Chiefs of Staff, told the Senate Armed Services Committee that China — and Russia, too — present the greatest threat to American security. There is a war going on over the soul of the worldwide Internet, and businesses will not be able to remain neutral for long. China is rattiling its cyber-sabers, seeking to aggressively control the Internet. The Communist government there is "pushing to rewrite the rules of the global Internet, aiming to draw the world’s largest group of Internet users away from an interconnected global commons and to increasingly run parts of the Internet on China’s terms," according toThe Wall Street Journal. Chinese officials, the Journal wrote, hope for "a future in which governments patrol online discourse like border-control agents, rather than let the U.S., long the world’s digital leader, dictate the rules." This comes as China has decided that the cyber world is actually closer akin to its physical geography. Indeed, a recent cybersecurity lawposted by the National People's Congress views cyberspace in terms of national sovereignty. It is unlikely that the United States will operate from such a position of advantage again. Pentagon planners should give up on the fantasy of a short, decisive war against the People’s Republic of China — any “short, decisive war” involving the PRC is likely to end in a PRC victory. In a potential conflict with China, it is the U.S. that is geographically and numerically disadvantaged. Further, China has organized military developments for the past two decades around one key principle — that the U.S. would not be allowed to repeat Desert Storm. Former Taiwanese President Lee Teng-hui was in Japan last week, where he met with a number of Japanese officials, including Prime Minister Shinzo Abe. 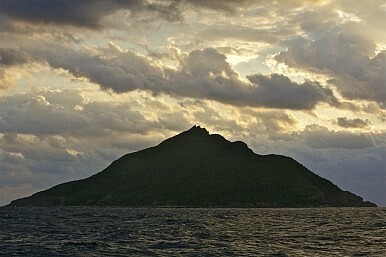 Since his return on Sunday, Lee’s comments on the disputed Senkaku/Diaoyu Islands (made while in Japan) have created a firestorm of controversy in Taiwan, with mainland Chinese media paying close attention. Still, Lee’s trip was hardly unusual. The former president, now 92, has visited Japan seven times since he left office in 2000, with his previous trip in September 2014. On this trip, Lee gave a speech before roughly 400 Japanese legislators at a Diet office building, a first for Lee or any former Taiwanese leader. He then visited Fukushima Prefecture, the site of the devastating March 2011 earthquake and tsunami, and Miyagi Prefecture, which was hit hard by an April 2011 aftershock quake. WASHINGTON—Arafat M. Nagi, 42, of Lackawanna, New York, was arrested and charged by criminal complaint with attempting to provide material support and resources, namely personnel, to a foreign terrorist organization, the Islamic State of Iraq and the Levant (ISIL). The charge carries a maximum penalty of 15 years in prison and a $250,000 fine. Assistant Attorney General for National Security John P. Carlin, U.S. Attorney William J. Hochul Jr. of the Western District of New York and Special Agent in Charge Brian P. Boetig of the FBI’s Buffalo, New York, Division made the announcement today. Just weeks after his grip on power looked to be slipping, Turkish President Recep Tayyip Erdogan is widening the net in an offensive against militants to root out political opponents and shore up his power base. Erdogan called on Tuesday for parliament to lift the immunity from prosecution of lawmakers from the Kurdish party linked to the militant group PKK. That would pave the way for prosecutors to investigate alleged terrorist offenses. Turkey is striking PKK insurgents at home and in northern Iraq while bombing Islamic State in Syria, sending financial markets plunging. Erdogan, 61, is positioning himself to benefit from the crisis. The escalation comes seven weeks after the pro-Kurdish HDP won unprecedented support in Turkish elections, stripping the party founded by Erdogan of its parliamentary majority for the first time in 13 years. The once-praised concept known as population-centric counterinsurgency, typically abbreviated simply as "COIN", has fallen on hard times. On December 1st, 2014, The American Conservative published an op-ed by U.S. Army Lieutenant Colonel Daniel L. Davis entitled "COIN Is a Proven Failure". A month earlier, retired Lieutenant General Daniel P. Bolger published Why We Lost, in which he claims that "by the time [Field Manual 3-24] came out, the techniques had already been tried and found wanting." With the Taliban still intransigent nearly fourteen years after the 2001 invasion, and owing to ongoing conflict in Iraq, COIN's reputation for calming the chaos has taken a substantial hit. Popular perception states that in late 2006, with stability in both Afghanistan and Iraq in sharp decline, a combined Army and Marine Corps team led by then-Lieutenant General David Petraeus drafted a new COIN field manual, FM 3-24/MCWP 3-33.5 Counterinsurgency. In early 2007, President George W. Bush announced a controversial surge of additional combat troops to Iraq. Petraeus, subsequently promoted to General, took command of Multinational Forces in Iraq (MNF-I), which employed the new COIN doctrine codified in FM 3-24 to exploit opportunities offered by the mid-2006 Anbar Awakening movement, and from a ceasefire by the Jaish al Mahdi militia. The International Security Assistance Force (ISAF) adopted a similar approach in Afghanistan, bolstered by a comparable 2010 troop surge ordered by President Barack Obama in late 2009. The COIN initiative in Iraq produced a temporary settlement that eventually deteriorated after American troops withdrew in late 2011; meanwhile, Afghanistan's COIN initiative largely failed to produce even a comparable temporary settlement. 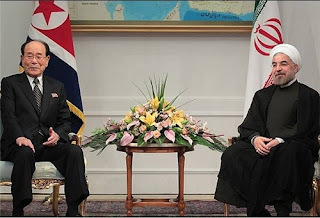 On July 14, 2015 the United States, Great Britain, France, Russia, Germany and the People’s Republic of China (PRC), collectively known as the P5+1, finalized negotiations for a comprehensive nuclear deal with the Islamic Republic of Iran. According to the agreement, Iran will be required to disable many centrifuges critical to the uranium enrichment process necessary for weaponization, redesign the Arak nuclear reactor such that it is incapable of generating bomb-grade plutonium, and drastically decrease its stockpile of non-weapons grade uranium. In return, crippling UN trade sanctions will be lifted, which would immediately boost Iran’s economy, including the return of over $100 billion per year in oil exports currently lost due to sanctions. The deal purports to make it nearly impossible for Iran to construct a nuclear weapon within its borders and, “is not built on trust – but on verification.” In addition, UN embargoes on arms and ballistic missile sales to Iran will be extended for another five and eight years respectively. Iran has been seeking the right to master Western technology for over two centuries. Hidden behind the hundreds of stories in recent months about the negotiations with Iran lies a basic process obscured by the talk of diplomacy and deals: the transfer of technology. Two hundred years ago this summer, Iran was engaged in a parallel set of talks with the Western powers about its right to acquire the latest scientific and military expertise. It was not nuclear technology that was at stake in the summer of 1815. Rather, it was the new military-industrial techniques that in the previous half century had seen European armies rapidly and orderly fire their way across former Muslim kingdoms from India to Egypt. The Middle Eastern powers who witnessed this saw the transfer of Western technologies as their only hope of security. Having been ravaged by Russia from 1804 to 1813, Iran had particular reason to be fearful. But as the lone Shiite state in the region, her long term enemies were her Muslim neighbors. The Ottoman, Mughal and Hotaki rulers of what is now Syria/Iraq, Pakistan and Afghanistan had all waged war against Iran’s “heretic” Shiites. Blessed with abundant natural resources, Guineans should live in the most prosperous country in West Africa. But my country remains stuck in extreme poverty because of a half century of authoritarian governments, often inspired by the teachings of Karl Marx. During this long period when Guineans struggled, fortunately there was good news and some hope. My country has been a bulwark of stability in West Africa’s so-called “arc of crisis.” So far, Guineans have been spared the tragic and destructive civil wars found in neighboring Liberia, Sierra Leone, Cote d’Ivoire, and Guinea-Bissau. Yet this could change. While wars around us have abated, economic stagnation, heightened tribalism, and the unbridled spread of terrorism throughout Africa could undermine Guinea’s cherished stability. There is a way forward for my country to build on its stable past and avoid civil conflict and terrorism spreading to us. My vision is for a free, democratic, prosperous Guinea based on ethnic inclusiveness, the rule of law, free-market economics, and the effective management of the country’s vast mineral, agricultural, water, and human resources. I foresee a proud Guinea fully integrated into the West African economy and making a positive contribution to the world community. Russian prosecutors on Tuesday formally labeled the Washington-based National Endowment for Democracy, a nongovernmental foundation funded by Congress, as an “undesirable” organization — banning it from operating in the country. In a statement on its website, the General Prosecutor’s Office accused the foundation of working to disrupt national elections, influencing Russian authorities and discrediting the Russian army. The foundation is the first victim of a new law to expel foreign NGOs believed to be working against Russian interests. Russians who continue working for such groups face up to six years in prison. The National Endowment for Democracy could not be immediately reached for comment. The bipartisan nonprofit was founded in 1983, and works in more than 90 countries. The group spent more than $5 million in Russia in 2013-14, prosecutors said. Russia’s parliament drafted a list this month of a dozen “undesirables,” most of them U.S. nongovernmental organizations such as Freedom House and George Soros’s Open Society Foundations. Another group, the Chicago-based MacArthur Foundation, has voluntarily folded its Russian operations. The new data theft tool, called Hammertoss, is a study not only in espionage capabilities, but also stealth and targeting. It’s been found so far only on one organization’s network, and has been linked to a Russian group dubbed APT29 by researchers at FireEye. Once APT29 has access to a target network and deems it worthy, it deploys Hammertoss, which communicates through URLs seeded in social media accounts—Twitter in particular—and makes use of steganography in images stored on GitHub or compromised websites to retrieve encrypted instructions. This is similar behavior to the original MiniDuke campaigns, which also moved through similar channels and tactics, but with much less obfuscation. “MiniDuke and other tools that have been outed recently are part of the same toolkit,” said Jen Weedon, manager of threat intelligence at FireEye. “It’s unique, and considerably more complicated and layered in its approach. They will use Hammertoss when other tools don’t work. The story of the German Enigma machine is well-known - a device built to provide secure communications but which British code-breakers managed to crack at Bletchley Park. But there is another story - not fully told until now - about what came after. The demand for machines like Enigma grew after the end of the World War Two. And one private company led the way in meeting that demand. That company, founded by a man called Boris Hagelin, was called Crypto AG. Hagelin had helped supply the US Army during the War before moving his business from Sweden to Switzerland. Crypto AG sold its machines around the world, offering security. But what customers did not know was that Hagelin himself had come to a secret agreement with the founding father of American code-breaking, William F Friedman. If you want to understand how modern British and American intelligence services operate, you could do worse than visit the new exhibition that opens at Bletchley Park this week. It tells the story of code-breaking in the first world war, which paved the way not just for the better-known success story of world war two, but also GCHQ and the NSA’s modern day bulk interception. A century ago, just as today, intelligence services and network providers used to enjoy a symbiotic relationship. Britain, for example, exploited its dominance of the telegraph system to spy after its companies had built an imperial web of cables that wrapped itself around the world. Britain’s first offensive act of the conflict was to cut Germany’s own undersea cables and install “secret censors” in British company offices around the world that looked out for enemy communications. A staggering 80m cable messages were subject to “censorship” during the war. In recent decades the US has enjoyed a similar ability to spy on the world thanks to its role in building the internet – what the NSA called “home field advantage”. This worked via two channels. The first was fibre-optic cables passing through either American or British territory, allowing intelligence agencies to install the modern equivalent of secret censors: computerised black boxes that could filter data to look for emails based on “selectors”. The second channel was Silicon Valley – which had thrived thanks to massive Pentagon and NSA subsidies. People around the world sent their communications and stored their data with American companies, whose business model often involved collecting, analysing and monetising that data. This attracted spies like bears to honey. And so Prism was born – requiring the companies themselves to run selectors across their own data. 45,000 selectors were running in 2012. Put together with cable-tapping, this meant that nearly 90,000 people around the world were being spied on. Ref material on unconventional warfare, insurgency, irregular warfare, and small wars. Do you have it, have you read it? Casebook on Insurgency and Revolutionary Warfare, Volume II 1962 - 2009. The following guest post was provided by Major Jon Mohundro, a Logistics officer currently teaching at West Point. His previous experience includes junior officer positions within Armor battalions and the TRADOC Commander’s Planning Group. The views expressed in his post do not necessarily reflect those of the Department of Defense, the Department of the Army, or the Army University. Army Chief of Staff General Raymond Odierno has repeatedly said that leader development is the Army’s top priority for developing the future force(1). As the defense budget continues to be constrained by sequestration, developing the right leaders who can operate and win in a complex world will become increasingly more important. Unfortunately, the Army’s officer education system is designed to develop the wrong leaders. The hacks this year of the Office of Personnel Management databases, which went on for months before being discovered, underscored the importance of being able to detect network intrusions early on. But what if you could detect them before they happen? The Intelligence Advanced Research Projects Agency wants to find out, by using a combination of internal security controls with external indicators to generate automated warnings of potential attacks, according to a Broad Agency Announcement. The Cyberattack Automated Unconventional Sensor Environment (CAUSE) essentially is looking to combine the kinds of monitoring (social media, search terms) used to track political trends or disease outbreaks with other “unconventional” sensors and advanced network monitoring. IARPA points out that serious cyber attacks don’t just happen “but evolve in a phased approach” that includes early stages of reconnaissance and planning, not unlike burglars “casing” a bank before carrying out a job. CAUSE will seek to identify activity in those early stages as much as possible. While rumors of Algeria receiving a S-400 battery from Russia continue topermeate the blogosphere, construction of the S-300 site over at Mers El Kébir is well underway. Situated in Oran Province near the coast, Mers El Kébir is an important deployment location. It’s home to the Air Force’s frontline MIG-29 multi-role fighters, the Navy’s Kilo diesel electric submarines and OMCN/CNE shipbuilding, among others. According to satellite imagery, the site has been under construction for over two years and follows a configuration similar to those located at Ouled Fayet andReghaia. Like before, imagery shows that Algeria has taken its time hardening the site by erecting earth bermed protective shelters. Recent space snapshots from May (right image; left image from May 2014) confirm that the protective shelters have been covered and that concrete access ramps were completed. A nearby support area was still under construction at the time of capture. Unlike other S-300 sites around the globe — which typically follow basic Russian configurations of ‘C’ and ‘E’ shaped revetments — these hardened sites reiterate the system’s use for strategic defense. A chapter of the hacktivist group Anonymous released a document they say exposes the Canadian government’s signals intelligence infrastructure, and they’re planning to continue leaking the memos until police arrest the officers responsible for the death of a protester in British Columbia. The Palestinians and Israelis are now battling in the virtual world, June 24, 2013. While Palestinians and Israelis do plenty of fighting on traditional battlefields — the most recent such engagement being the Gaza War of summer 2014 — a new front has emerged that is just as vicious, albeit devoid of bloodshed and bullets. The so-called cyber war is fought on the Internet this time. Summary⎙ Print The cyber war between the Israelis and the Palestinians is intensifying, with each side racing to penetrate the enemy’s sensitive sites. The latest round of confrontations between Palestinians and Israelis occurred on the Internet April 9, when Israeli hackers leaked the Palestinian Population Registry containing data on 4 million Palestinians and published personal information about 700 Palestinian Authority employees, among them ministers and journalists. The Israeli attack came in retaliation for actions by Palestinian hackers April 7, when they penetrated Israeli websites — among them those belonging to the office of the Israeli prime minister, the Ministries of Defense and Education, the Shin Bet, the stock exchange and the Tel Aviv police. The hacking of Palestinian and Israeli websites can be just as dangerous as conducting military operations on the ground. Attacks on these sensitive websites — such as those belonging to military bases, airports and banks — can potentially result in devastating losses. These attacks could expose bank accounts or military and security installations and are considered a threat to national security. The New York Times has reported that the United States, Turkey, and the Syrian opposition are planning to create a “safe zone,” free of the Islamic State of Iraq and the Levant (ISIL), for Syrians in an approximately 60-mile-wide strip of land along the Turkish-Syrian border. Certainly the long-suffering people of Syria deserve a place in which to be safe from ISIL and a safe zone might someday provide a convenient launching pad for a broader offensive against the group. However, a safe area comes with real commitments and serious dangers. Nothing illustrates this better than the case of a modest Muslim town in Bosnia: Srebrenica, probably the most famous “safe zone” in modern military history. Documents posted by the invaluable National Security Archive set up the story. In April 1993, as the war in Bosnia was heating up, the United Nations Protection Force (UNPROFOR) in the former Yugoslavia was pressured into overseeing “An Agreement for the Demilitarization of Srebrenica,” between the Bosnian Serb and Bosnian Muslim armies and declaring the town a safe zone.